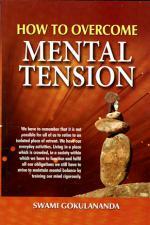 A monograph discussing the causes and relief of mental tension. Every day we have to deal with stress, but why suffer unnecessarily? The author explains how we can deal with our problems. 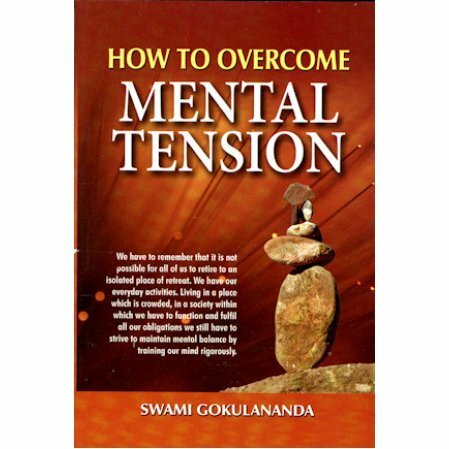 An intelligent and easy to read book that goes to the heart of the causes and cure of mental tension. Highly recommended. "The genesis of this book lies in the repeated requests I get as secretary of the Ramakrishna Mission, New Delhi, for personal interviews by people who are bogged down by the problems of life. Most of them come to discuss their personal problems and almost all of the problems are related to mental tension. Therefore I decided to give a series of lectures which were taped, edited to take the shape finally of this book. It has been rightly said that the present century is a century of stress. The only way to control stress is to control the mind. Unless we know how to train the mind, it is very difficult to lead a purposeful life. In these lectures, I have approached the problem of stress and its control from two standpoints - the Eastern and Western. I have referred to what our ancient yogis said about mental control and also what the modern Western psychologists are saying about it at present."